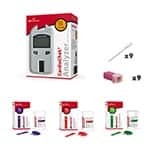 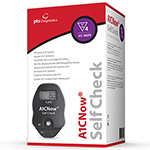 This bundle includes CardioChek PA analyzer, 1 box of Lipids (15 test strips/box), 25 lancets, and 16 - 40ul capillaries. 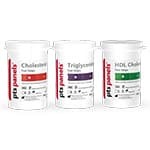 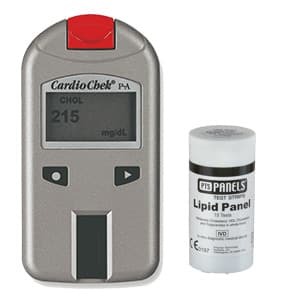 This is an bundle to for testing total cholesterol, hdl, triglycerides, and a calculated ldl level. 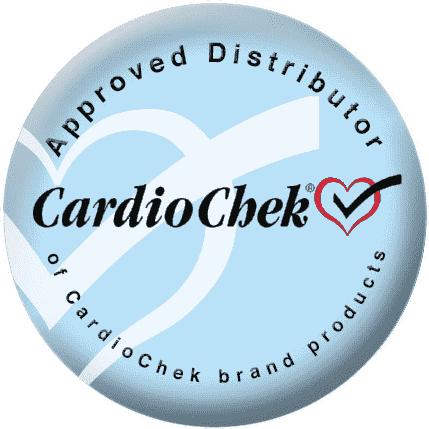 The CardioChek PA with 1 Lipid Vial Bundle has everything you need to start testing cholesterol levels (Total Cholesterol, HDL, Triglycerides, and a calculated LDL).